"I don't quite agree with the cookware listed here being healthy. Being a ... read full review"
Cookware consists of different types of pots and pans that are used for specific purposes. Some of the pieces of cookware can be substituted for a type you may not have and still accomplish the type of cooking you need to perform. Pots and pans are available in different sizes and made of different types of material. Some materials are better than others when used for specific cooking methods. Budget - How much can you afford to spend on the pots and pans you purchase? You should purchase the best quality that you can afford. It will be well worth it in the long run. Otherwise, you will find yourself replacing them in a short time. Cooking Habits - How much will you be cooking? Do you eat out a lot and buy convenience food or do you like to prepare meals from scratch? Will you be entertaining a lot? Cuisine - Will you be making a lot of pasta, soups, or stir-fries? There are special pots and pans that assist in preparing these types of food. Quantity - Will you be cooking for 1, 2 or several? Having the right size cookware will be important when preparing your food. Cast iron cookware is inexpensive to moderately priced. It is fairly heavy and conducts heat evenly. It heats slowly but once it is hot it holds the heat well. This makes it good for deep frying and slow-cooking. 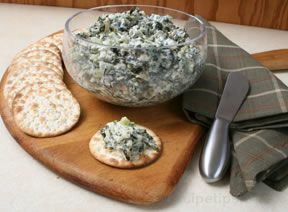 It can be used on top of the stove and in the oven. Drawbacks to cast iron are that it rusts, stains and becomes pitted when exposed to air, moisture and certain foods. Pan Care: To care for cast iron cookware, do not wash in soapy water but try wiping clean with a paper towel. Run hot water over stuck on food to help loosen and remove. After your cast iron pot has been washed it should be dried thoroughly. 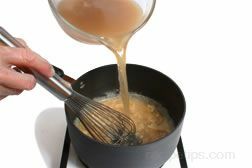 To prevent the pan from rusting, rid it of any excess moisture by setting it on the stove over high heat until all moisture has evaporated and coat with oil before storing. 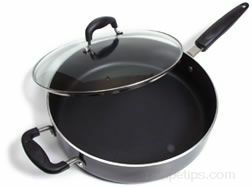 Pan Care: To care for non-stick cookware, use hot soapy water and avoid using abrasive pads or powders. If food does stick to the pan, soak in hot water to loosen stuck on food. A nylon scouring pad, nylon scraper, or nonabrasive cleaner can also be used to help remove stuck on food. Do not wash in a dishwasher. Also protect the non-stick surface by only using wooden, plastic, or coated utensils when cooking. Stainless steel cookware is moderately priced. It is the most versatile material to use because it keeps its bright shine and has good tensile strength, preventing it from denting easily. Stainless steel is a good material for any type of pan because it does not corrode and does not react with alkaline or acidic materials. The one problem with stainless steel is that it does not conduct heat well. To combat this problem, pots and pans made from stainless steel have should have a thick aluminum or copper core in the bottom of the pan to help conduct heat more evenly and make the pan more responsive to heat. In the better quality pans, the aluminum or copper core also runs up the sides. You may find a stainless steel pan with an aluminum or copper plate on the bottom but if the plate is not thick enough, it will not do an efficient job of conducting heat evenly. 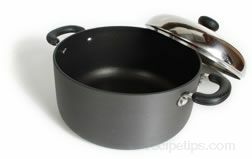 Pan Care: To care for stainless steel cookware, wash with hot soapy water. A nylon scouring pad or nylon scraper can be used to remove stuck on food. There are stainless steel cleaners that can also be used to remove stains and bring a shine back to the cookware. Stainless steel cookware can be washed in the dishwasher but the high temperatures in the drying process can cause the water spots. To avoid water spots, remove the pan from the dishwasher before it is dry and wipe with a soft cloth. There are many types of pots and pans available for different cooking methods. Many of the types can be used for more than one method. Shown below are some of the different types and a brief description of each. 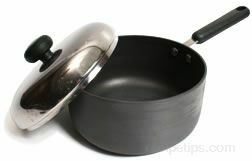 A round or oval-shaped pan with two stay-cool handles and heavy domed cover. 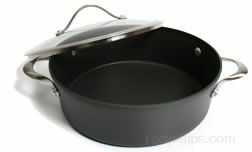 This is a heavyweight pan made of anodized aluminum or stainless steel. Both types of material contain an aluminum or copper core layer in the middle that runs all across the bottom and up the sides, which spreads heat evenly through the pan. Braising pans can be used on the stovetop and in the oven. It is important that the cooking vessel has a tight fitting lid so that the liquid does not evaporate. They are available in depths ranging from 2 to 3 inches and in various sizes ranging from 10 to 13 inches in diameter or 2 ½ quarts to 6 quarts. This pan could also be used as a casserole pan. Cookware is used to broil foods in the oven such as steaks, roasts, or various cuts of meat, poultry and vegetables. It is typically constructed of stainless steel or heavy gauge steel with a black porcelain enamel. Broiler Pans consist of two sections, a low walled pan section and an upper cooking surface that is the broiler plate lid. The cooking surface or lid, which contains open slits and small holes, holds the food as it broils while the pan below catches the drippings. Since the lid has only minimal openings, it keeps the hot grease and drippings contained within the pan so they don't flare up and burn the bottom of the food as it broils. 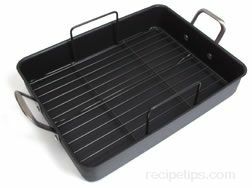 Also known as a broiler roaster, oven roaster or oven broiling pan. A round or oval pan with steep sides, which ranges in size from 2 quarts to 12 quarts. The casserole pan can be found made from many different materials. It is available made from the same high quality materials as a saucepan or you may find it made from glass, ceramic or earthenware. It may have a cover but many times the cover is not used when cooking the food in a casserole. Depending on the material it is made from, it may be used on the stove top but is generally used in the oven. It is used for cooking one-dish meals and the meal is served at the table in the casserole pan. A medium depth pan that generally has flared or rounded sides but is sometimes found with straight sides. It has a flat bottom and wide mouth, which accelerates the evaporation of liquids. A chef's pan most often will have a long handle and a tight fitting cover. It is made of a metal with a thick ground base that allows temperature changes to occur rapidly as the level of the heat applied to it changes, either increasing or decreasing for the best heat conduction. Chef's pans are available in a variety of sizes such as 2, 3, 4, 5, or 6 quart. 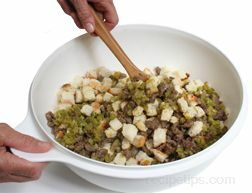 The height of the sides make it easier for sautéing, frying or steaming greater amounts of foods, allowing sufficient space for turning and stirring of the contents. Chef's pans are very similar to saucier pans and either pan can be used interchangeably. 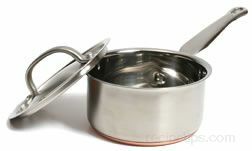 A double boiler consists of two pans where one sits inside of the other. The bottom pan is slightly larger so the top pan can fit inside. The bottom pan contains hot water and the top pan holds the ingredients that are being cooked. 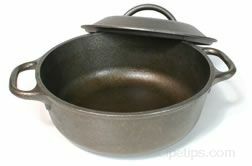 This type of pan is used when making delicate sauces that have a tendency to separate if cooked on direct heat. 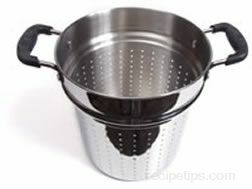 Double boiler are often made from stainless steel but can also be found made from other materials, such as enameled steel, aluminum, and glass. 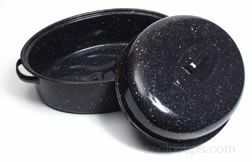 A round or oval, heavyweight pot with a domed cover. A Dutch oven has steep sides that range in depth from 2 to 4 3/4 inches and range in size from 2 quarts to 6 quarts. You will find them made from stainless steel, anodized aluminum and cast iron. 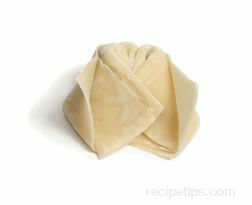 They are used for pot-roasting, stewing, braising, boiling pasta and making soup. They can be used on the stovetop and in the oven. Dutch ovens are a popular cookware item used when camping. Some cast iron models have legs, making it easy to set the pot over coals or a campfire. 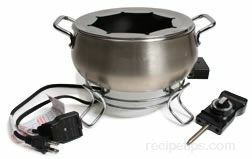 A type of cookware that consists of a pot with a heat source such as a portable cooking fuel or an electrical heating element placed directly below the pot that is used for a food preparation process known as fondues. The pot may be filled with cooking oil, wine, cheese, chocolate, or other ingredients depending on the food to be prepared. The heat source melts or fully warms the contents so that food can be dipped into the pot and either cooked or coated with its contents. Typical foods that are dipped in fondue pots are small pieces of toast, bread, meat, fruits, or vegetables. 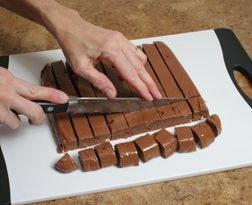 They are dipped into the contents of the fondue pot and eaten as an appetizer or as part of a meal. The word fondue is a French term meaning "to melt." A frying pan has a flat bottom with short sides that are flared or sloped, which makes it easier to toss and turn food with a spatula. The pan should be made of heavyweight material that is responsive to heat, such as lined copper, stainless steel with a copper or aluminum core, anodized aluminum or cast iron. There are also frying pans available with non-stick surfaces. It is used for frying foods but can also be used for sautéing. Frying pans are available in several sizes, such as 6 ½", 7", 8", 9" 10", 11", 12", and 14". They are available in depths of 1 ½" to 3" and generally come with a cover. 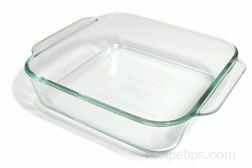 A baking pan made from tempered glass. The glass may be flameproof or ovenproof and are available in square and rectangular shapes of various sizes. The flameproof glassware, which is fairly expensive, can be used in the microwave, on the stovetop and in the oven. 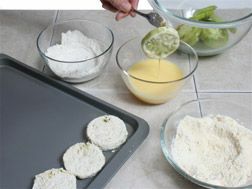 Ovenproof glassware can be used in the microwave and in the oven, but if used on the stovetop. The glass baking dish is used to bake fish, meats, casseroles, vegetable dishes, breads, cakes and other desserts. A heavy metal pan that consists of ridges spaced evenly across the bottom that closely simulate the grilling process when cooking various meats and foods. They are available with shallow sides and with deeper sides similar to a frying pan. The ridges raise the food off the bottom surface of the pan, which helps prevent the food from steaming as it cooks. 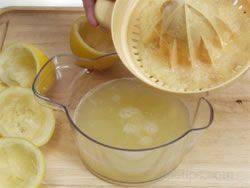 The ridges also serve as a method for allowing the fat contained in some foods to drain away from the food and collect in the spaces between the raised ridges. Many grill pans are made from cast iron. Cast iron needs to be seasoned but there are manufacturers who produce enamel surfaced and factory seasoned cast iron grill pans. Cast iron pans are also heavy and the handles get extremely hot, making them hard to handle. Even though cast iron is bulky, it is still the best material for a grill pan because of its ability to retain heat and to heat evenly. They are available in round, square, and rectangular shapes and range in size from 9 to 12 inches. There are also double burner sizes available. An omelette pan is basically the same as a frying pan. 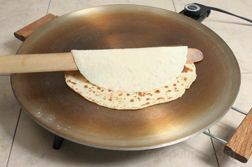 It is available made from the same type of material as frying pans and is generally shaped the same. An omelette pan with a non-stick surface is beneficial when making omelettes because it allows the eggs to release from the pan, making them easier to turn or flip. The omelette pan is also available in an oval shaped pan that is generally 10 to 12 inches long. 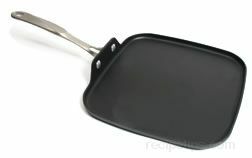 The oval pan works well for cooking foods such as omelettes, fish filets, and shell steaks. The most common sizes for round pans are 8, 10, and 12 inches. A cooking vessel that is used to prepare the famous Spanish rice dish, paella. The pan is a large diameter, shallow skillet-like pan that may be made from cast iron, enameled metal, or brushed aluminum. Some pans may have higher sides resulting in a deeper pan, but the traditional pans are approximately 14 to 16 inches in diameter and have the appearance of a medium to large skillet with a shallow depth. Most paella pans have handles on either side. A rectangular shaped pan with low sides, which allows the heat from the oven to expose the entire surface of the meat to create a browned exterior. The pan is generally used with a rack to prevent the meat from sitting in its own juices and stewing instead of browning. See Roasting Racks. There are several sizes available. Select a size that allows approximately 2 inches between the side of the pan and the meat. Also, be sure that there is at least 2 inches of space between the outside of the pan and the sides of the oven so that there will be proper air circulation. The roasting pans are available made from several different materials, such as stainless steel, stainless steel with an aluminum or copper core, aluminum with non-stick surfaces, anodized aluminum, lined copper and granite. 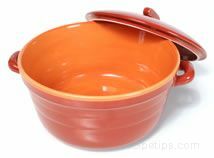 A round pot with high straight sides and a flat bottom that is used for several purposes, such as cooking vegetables, heating soup, and making sauces. The standard saucepan has straight sides but there are other styles available that are used for special purposes. A saucepan known as a Windsor has sides that flare out and another known as a saucier has sides that are rounded. 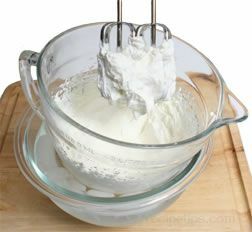 They are used to provide more exposed surface to speed up reducing a sauce by allowing more evaporation and they make it easier to stir and whisk food out of the corners. Saucepans are made of a sturdy material that is heat responsive, such as lined copper or stainless steel with an aluminum or copper core or bottom plate. They are available in several sizes. 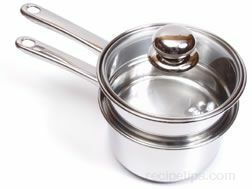 A small saucepan holds 1 to 1 ½ quarts, a medium holds 2 quarts, and a large saucepan holds at 3 or more quarts. Most saucepans come with a snug fitting cover. A pan very similar to the frying pan, only it has short, straight sides. It has a heavy gauge bottom and is made from a material that is heat responsive, such as lined copper, stainless steel with a copper or aluminum core, or anodized aluminum. It is used for sautéing foods but can also be used for frying foods. The pan should have a long handle and it generally comes with a cover. Some of the larger models have a loop handle opposite the long handle that is used to assist in lifting the pan. The sauté pan is available in various sizes, ranging from 6" to 16" in diameter, and 2 ½" to 3 ½" in depth. An round, lidded pan with small handles that is often used to sauté or braise a variety of foods. With short to medium height outward sloping sides, a sauteuse pan is a utensil for cooking casseroles, stews, and pasta dishes as well as meat and poultry dishes. 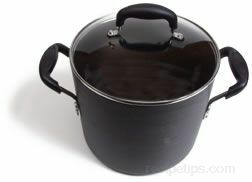 Common in European households, this pan has a small curved handle on each side instead of a single straight handle and is typically available in sizes ranging from 2.5 quarts to 7 quarts. A round, deep pan that may have straight sides with a slightly rounded base or more commonly a round base that slopes out and upward. Stir fry pans are available with several different sized handle lengths that can be selected to match the cooking process. The pan allows heat to be well distributed across the base while the sloping sides make it easier to stir and turn ingredients as they cook. The Asian pan referred to as a "wok" is one traditional type of stir-fry pan while other versions are often available with bases and sides that are thicker in substance, not as curved, nor as deep as the wok pan. Stir fry pans are often used to prepare and quickly sear multiple ingredients that go well together including various meats and vegetables mixed with sauces. The stir fry pan is good for cooking food in a small quantity of oil and for retaining the colors and textures of the various ingredients. A deep, straight-sided pot that is taller than it is wide. It has two, securely attached, loop handles that are big enough to easily allow the use of potholders or oven mitts. It is used for simmering large amount of liquid, such as stock, soup and stews, but also works well for thick soups, chili and for boiling pasta. The pot does not need to be made of anodized aluminum or copper to promote responsive heat reaction but should have a heavy bottom to protect against burning and scorching. Stockpots are available in sizes ranging from 6 quarts to 20 quarts and generally include a cover. 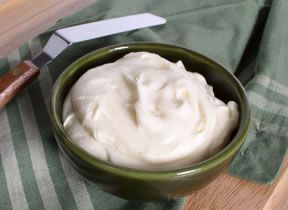 10, 12 and 14 quarts are standard sizes that will satisfy many uses. You will find stockpots made of several different materials, such as stainless steel, aluminum, anodized aluminum, copper, and non-stick materials. 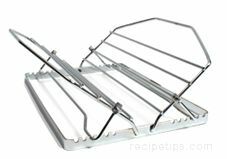 Roasting Racks - There are various types of racks available and they are generally made from stainless steel or a non-stick coated metal, which makes clean up a lot easier. You may want to have a couple of the different types because some racks work better for different uses. Be sure it is big enough and sturdy enough to hold the piece of meat you will be cooking and that it fits into your roasting pan. 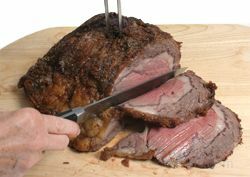 When placed in the oven, there should be at least a 2" space between the meat and the top of the oven. A brief description of the most common type of racks is shown below. 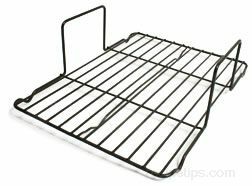 Basket Racks: A U-shaped piece of perforated metal that has a handle on each end. The rack resembles a basket. 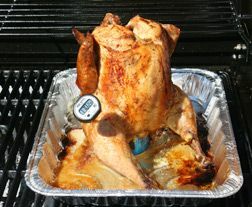 The U-shaped rack cradles the meat and when used for a chicken, it holds the wings and legs next to the body. It produces the crispiest skin on a chicken due to its ability to conduct heat. It is sometimes referred to as a cradle roasting rack. This rack only works for small birds and roasts that are 5 pounds or smaller. 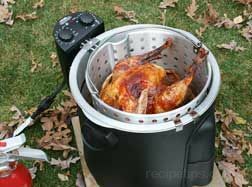 Microwave Cookware - Cookware for the microwave is different than other cookware. Most cookware that is used on the stovetop or in the oven cannot be used in a microwave oven. Microwave cookware is generally made from glass, ceramic or plastic and not all glass, ceramic and plastic containers are microwave safe. If a container is not microwave save it can heat up in the microwave and become a safety hazard. Most plastics work well in the microwave oven but not all. If their label indicates that they are able to withstand boiling water and if it states that they are dishwasher safe, they should be able to withstand the heat from the microwave. Glassware for the microwave should be heat-resistant. Non-heat-resistant glass cannot withstand the high and uneven heat from the microwave. Ceramic cookware should be unglazed. Glazed ceramic absorbs the microwave energy too quickly, which can cause it to break or become heated to a high temperature. The best style of microwave cookware to use is a dish that has shallow sides and is round or oval in shape. There are microwave cookware sets available that contain different size and shape containers that are suitable for the microwave. 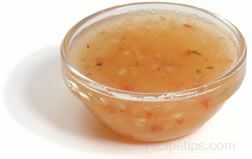 Note: To test a dish or container to see if it is microwave safe, fill a 1-cup glass measuring cup with water and place it next to the dish or container in the microwave. Start the microwave on high power and run for 1 minute. After a minute, check the water and the container you are testing. The water should be hot but if the container is also hot, it is not microwave safe. Cookware Sets - You can purchase prepackage sets of cookware where the different pieces have been selected for you. You can generally gain some cost savings when buying the pieces in a set over buying them separately but be careful that all the pieces are pots and pans that you will use. It should include a saucepan and lid, a frying pan, and a stockpot. A roasting pan would be another worthwhile piece in the set. Sets are available in different size groupings. If purchasing a set, select the best one possible for the amount you have allocated by paying close attention to the quality of the pieces and to what pieces you are getting in the set. If the set has several pieces that you will hardly ever use, it may make more sense to purchase one of higher quality that has fewer pieces that are all commonly used. You will also want to select a set that is made from a material that is versatile enough to use for different cooking methods. Stainless steel with a copper or aluminum core or bottom plate would be good choice. Anodized aluminum cookware would also be a versatile choice. Saucepan - Purchase a 2 qt. 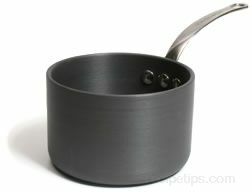 saucepan, which can be used for making sauces, reheating soups, pasta, and rice. A stainless steel pan with an aluminum base, which would be moderately priced, is a good choice for this pan. 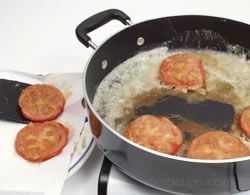 Frying Pan / Skillet - A 12 inch pan would be a good size to be used for several purposes, such as frying meats, potatoes, pancakes and eggs, and can also be used for stir-frying, sautéing and making one dish meals on the stovetop. It should be purchased with a cover and be made out of stainless steel with a copper or aluminum core, or a non-stick aluminum pan with a non-stick coating would provide a pan with easier clean up and one that required the use of less fat. 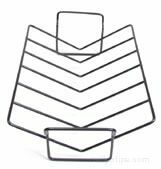 Roasting Pan - A roasting pan, which should be purchased with a rack, can be used for roasting meat and poultry. It can also be used to make one-dish meals that bake in the oven, such as lasagna. An aluminum pan with a non-stick coating would provide a pan that is lightweight, heats evenly, and is easy to clean up. 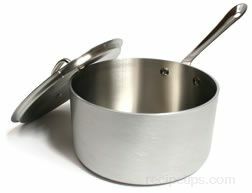 Stockpot - An 8 to 12 quart size pot would be a good standard range of size to provide a pot that can be used for many purposes, such as making stock or soup, boiling long strands of pasta, cooking sweet corn, and boiling seafood. For a moderately priced pot, select a stainless steel pot with an aluminum base, which will provide you with a pot that will conduct heat evenly. "I don't quite agree with the cookware listed here being healthy. Being a healthy cook myself, I did some research to find healthy pots and pans and the results were shocking. I used to believe that not all metals are bad for cooking. 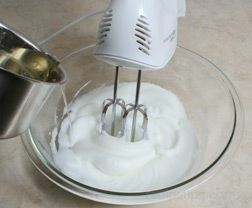 I found out about the alkaline baking soda test (https://miriamsearthencookware.com/2015/08/11/the-baking-soda-test-a-simple-reliable-method-to-test-cookwares-toxicity-in-your-kitchen/) to check if a material leaches toxins while cooking. I was surprised to find that most metals and ceramics cookware are toxic. I was worried about the health of my family and started researching for 100% non-toxic cookware. 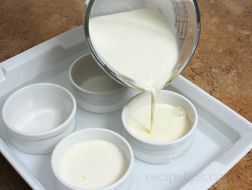 Luckily I found a useful article and would like to post this link with your permission: http://ezinearticles.com/?Consumer-Buying-Guide-For-The-Best-Pots-And-Pans&id=9800295 and got to know that MEC's pure-clay pots are naturally non-reactive to food thus make the perfect cookware. Since then I just love this new way of healthy cooking and everyone in my family is happy with how delicious food cooks in them."